Bill Gates may have created Microsoft, but not even the billionaire tech entrepreneur is immune to a messy email inbox - so the philanthropist came up with three rules to keep his electronic correspondence efficient. The Independent published what Gates shared about how he succeeded in limiting his daily emails to less than 100! "As one of the biggest proponents for what he called a “digital work style,” Gates realized during his time as the chairman of Microsoft that he needed to come up with a method for sorting and responding to email. In 2006, the entrepreneur, who is worth $92bn, shared these tips with Fortune - and they will likely help anyone who regularly struggles with an influx of emails. According to Gates, the most important email productivity tip is using your desktop setup efficiently. At Microsoft, Gates had three screens which he synchronized to form a single desktop - and each of which he delegated a different function. “The screen on the left has my list of emails. On the center screen is usually the specific email I’m reading and responding to. And my browser is on the right-hand screen,” he said. This allowed Gates, who filtered his inbox to receive just 100 emails a day, to focus and respond to the most important ones, while keeping an eye out for incoming emails. By dividing the emails by screen, he was able to keep track of everything while working on other tasks. Gates was also aware of the time required to read and respond to all the emails he received, a task that many people struggle with - and how to cut it down significantly. Now, the average office employee receives 200 emails a day and spends two-and-a-half-hours sorting, responding to, and deleting electronic correspondence, according to Forbes. But even before email was the favored form of communication, Gates knew certain emails he received had the potential to waste time - so he came up with a method of sorting and filtering who could email him. By categorizing your inbox and controlling who can reach you via email, which is now easier than ever thanks to tools built into most email platforms, you can ensure you only receive high-priority emails that you need to see. For Gates, these were emails from “anyone I’ve ever corresponded with, anyone from Microsoft, Intel, HP and all the other partner companies, and anyone I know.” Any other emails were forward to an assistant or secretary to filter - which may not be a realistic option for everyone. And finally, the philanthropist understood the importance of prioritizing. Acknowledging that any workplace is capable of becoming an information overload, Gates, who was not big on “to-do lists,” used “email and desktop folders and my online calendar” to focus on what emails required his response. “When I walk up to my desk, I can focus on the emails I’ve flagged and check the folders that are monitoring particular projects,” he said. 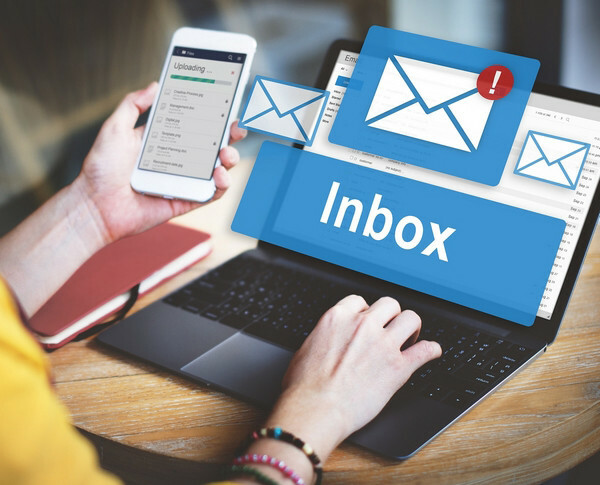 Streamlining your inbox by clicking the spam button is also an effective method of prioritizing - as it teaches your inbox what correspondence is most important. Even before email became the preferred form of workplace communication, the billionaire inventor knew the challenge is: “ensuring that you spend your time on the email that matters most.”"